I know I have. Well, how do you know for sure if you don’t even try? If your mind says ‘I can’t do it’; you can’t. If your mind says ‘let’s try’; you will give it a shot. But, if you try it once and can’t do it; you may never try it again. I’ve tried to do pull ups before. Let’s just say it wasn’t pretty. The other day at my gym’s circuit class one of the stations was pullups. I took one look and told myself “I’ll just do pushups on the ground instead when I get to that station.” I wasn’t even going to try. As I went through the circuit class it came time for the pull-up station. I looked at the pull-up bar, I looked at the tire and elastic band which were there to help us, and I decided to give it a try. I got up on the tire and tried to get my foot in the elastic band. Major fail! I tried again and couldn’t do it. My workout- partner say what I was trying and came over and put my foot in the elastic band. And, up I went! I did the 5 pullups the station required and I did it over and over again. Let’s just say I was quite proud of myself! The only reason I could achieve it was because of the help of my work-out partner and the aids that were made available so I could achieve the goal. Have you set some goals for 2017 and are having 2nd thoughts? Maybe you’ve tried to achieve them in the past and (in your mind) failed? I want you to think of a car’s front window and compare it to the rear-view mirror. Which is larger? The window looking forward. 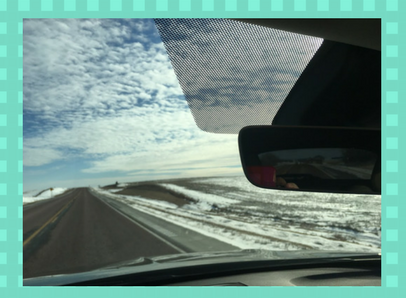 The rear-view mirror is the past. Let it go. The goals you set may be perfect goals for you but without someone to help you (the tire and elastic band!) they can seem impossible.